North-West e-learning mentor projects : Do you think Moodle will meet your needs? Prabhakar from AMCS and Joanne at Djerriwarrh are both considering using a "learning management system (LMS)" known as Moodle. What is it, and how do you get it? 1) Talk to eWorks. They can set you up with a "TrainingVC" account, which gives you access to your choice of Blackboard or Moodle (both of these are learning management systems with forums, space for resources, student tracking etc). I think the initial outlay is $2000. One of the recommended "Moodle hosting partners" listed on the support site. ** There's a huge help document in the moodle community - link here. 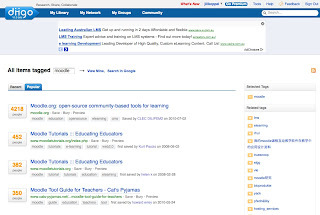 While you're still considering moodle, have a look at the huge number of resources that provide an insight into how others use moodle in their learning environment. 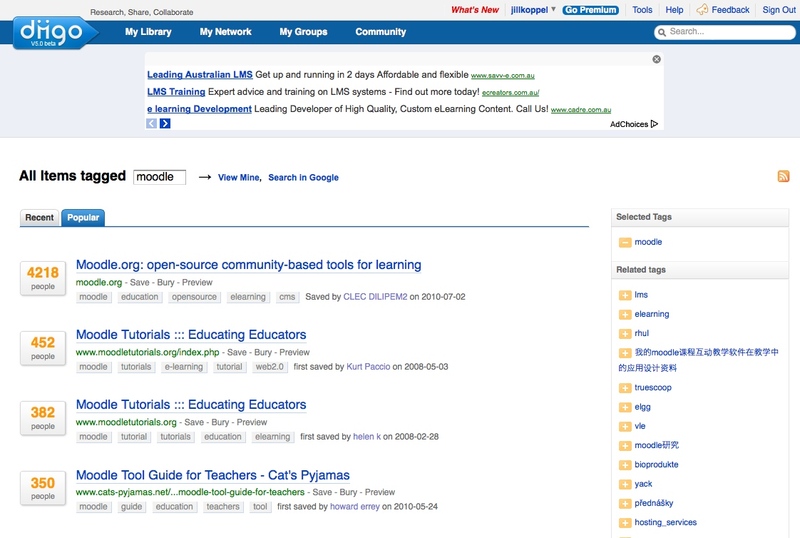 I've taken a screenshot of the Moodle Group Page in DIIGO, a shared bookmarking website. As you can see, many people recommend and share particular website links. They often comment too, about the content and usefulness of each, which helps whittle down the list to something digestible. And Coach Carole has just confirmed that the Moodle Group in the ACE NING will be up and running again in 2012. So join the network there too! Joyce Seitzinger also developed a very handy Moodle Tool Guide which cross references what you want to use (technology) with what you want to achieve (educational aim). I noticed that Canberra Institute of Technology (CIT) have a particularly comprehensive teacher support database of resources and PD activities to pick up many of the skills. Michael Chalk gathered some links for a presentation here. More information about the Milang Old School House (MOSH) projects here. We'll keep you posted about further 'people' resources - happy holiday research! * The tech talk: moodle is a free & open source web application that runs on your web server in the same way that an application like word runs on your desktop. Hi, I am an impostor from the Grampians region. Just thought I would add my 2 bobs worth about installing Moodle. 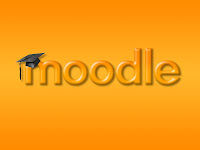 I have been working on 3 projects this year for orgs adding Moodle. Two sites have used eWorks which is $2300.00 to install with a small cost per student around $6.00 or free for Victorian Govt funded students. eWorks provides training and great support and backup and also all of the backend management. They also have some extra features than a basic installation. The third organisation has a self hosted site which is great and much cheaper, however you really need to have someone who can manage the behind the scenes stuff. We are already finding that if you can't do that if you have problems you might experience difficulties and Moodle is also updated every 6 months so to keep up with the latest iteration you need that IT person who is able to do the upgrade. I am pretty tech savvy but not sure whether I am up to that. Thanks Pam, really appreciate your input here.